This post is specifically for readers on ParalegalRookie.com and for my students at the University of Maine, but anyone working on their careers—either job searching or making changes mid-career—might find this information helpful. Graduation is quickly approaching, and I know graduating students want to find meaningful work. Some people reading this may be much farther along in their careers and are thinking about making some changes. One way to organize your job search whether you're doing this for the first time or making a mid-career adjustment is by using a Career Management Notebook. I kept one of these binders throughout my paralegal career. It held updated resumes, notes about jobs, and notes about my completed continuing legal education. When I became a professor, I started keeping a different version than the one shown here, but the concept is the same. Opportunities and unexpected downturns do not wait for you to get organized. You must be ready to seize the moment when a new job opportunity comes your way. So, let’s build a Career Management Notebook. Tabs. Again, feel free to use colored tabs instead of the boring, ol' white ones used at work. Pens, Sharpies, pencils, etc. (your favorites)! This is the front of the notebook that I'm using as a sample. 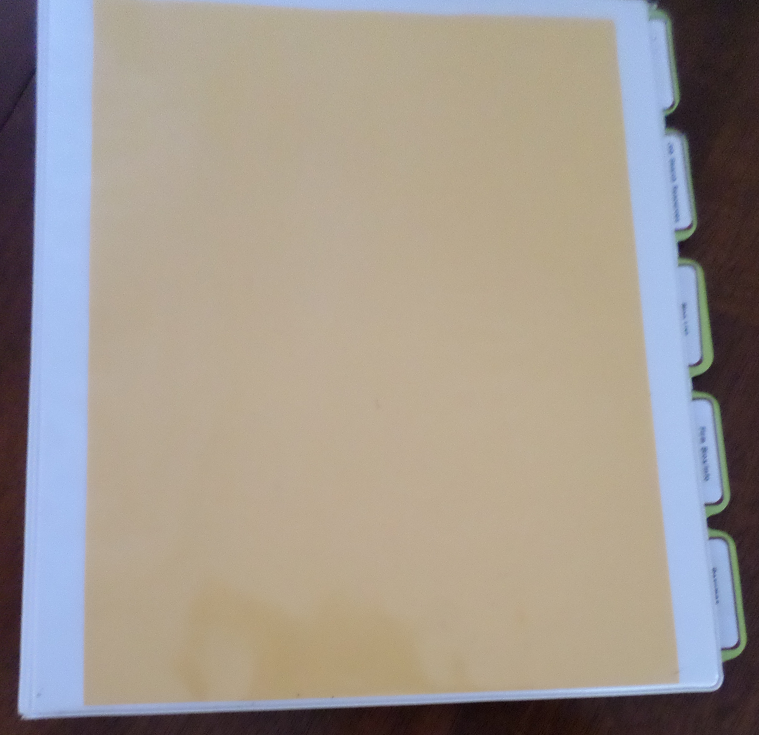 It is recycled white binder with a front sheet protector. frequently checked websites or important phone numbers. Our binder was recycled from a completed project. Don't feel that you need a new binder. Use what you have. UMaine students know where I keep a stash of binders for their use, donated by alumni. 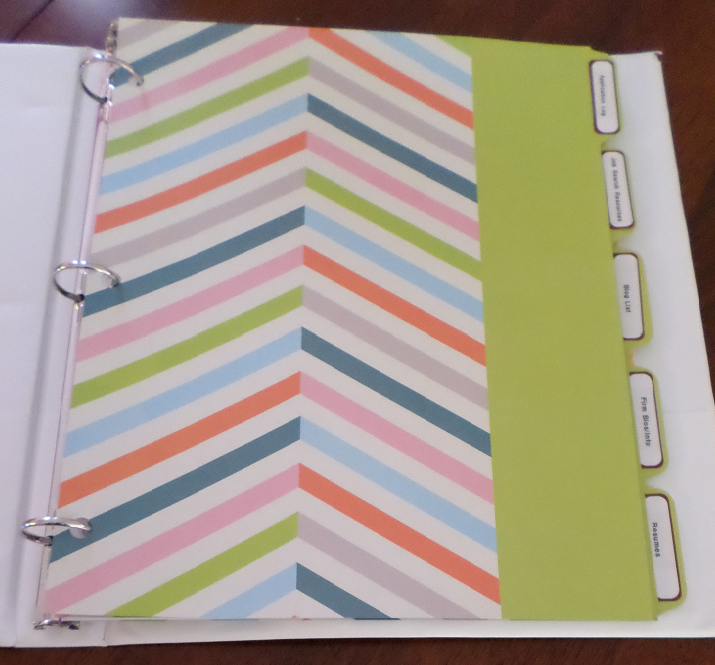 Add tabs to your binder. These tabs from Target are fun. tabs in the dollar section. Check there first! Because networking is often the key to success in the legal profession, this worksheet helps you track people you meet who might help you find an internship when you are ready for that step in your education. 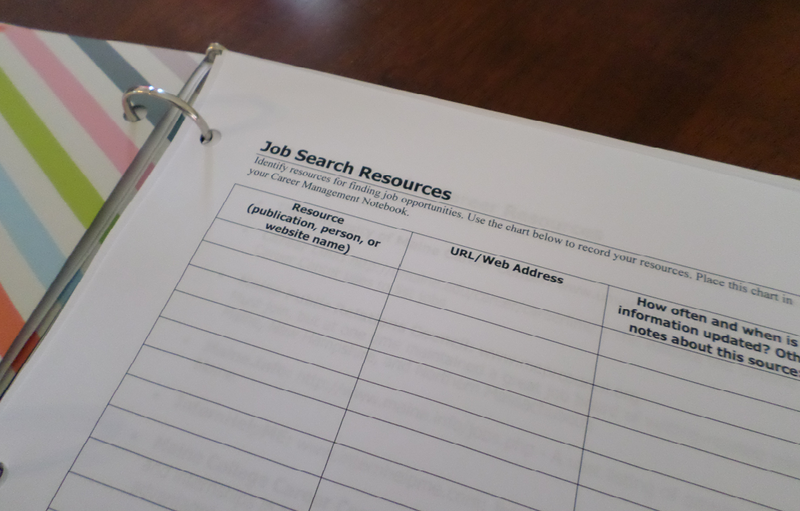 This form helps you track all of the resources available to you in your area related to job searching. For example, you might know local paralegal organizations that post job ads, large law firms with active HR pages, etc. Track the sites you need to visit regularly here. This form helps you track blogs that are relevant to your job search, local experts, and other sites that you find you need to visit regularly. Place the instructions in the front of your binder. The instructions page has a weekly and daily to do list for active job searchers. This log can be kept electronically, which makes searching it eaiser, but print it and place it in your binder occasionally. If you are doing an extensive search, applications, outcomes, and thank you notes get lost in the shuffle. Tab 2: Choose either Internship Resources or Job Search Resources, depending on where you are in your career. Tab 4: Company or Firm Brochures. Keep information about potential employers here. You could place job advertisements, the brochures you receive when you interview, and other information here. Tab 5: Resumes. Keep your current resume here. You might have two or three resumes, depending on how you are marketing yourself. For example, some technical writers at UMaine have a resume that highlights their technical writing skills and another that is geared for public relations. Paralegals might have one resume geared for litigation and one geared for bankruptcy, depending on your areas of specializations. p.s. 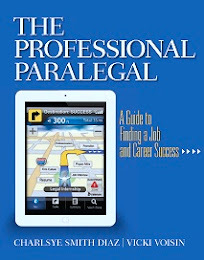 I'm blogging at paralegalrookie.com for the next few weeks to help paralegals get their jobs/internships started. If you're interested in following along, you can read the first post here.